Chuck Hargrove aka Kool Koor started his artistic journey in NYC during the mid 70’s graffiti art boom and by the early 80’s he was exhibiting his unique creations side by side with Haring and Basquiat world wide. His artwork can be seen in museum collections such as The Metropolitan Museum in NYC, The Groningen Museum in The Netherlands and The B.A.M in Belgium. 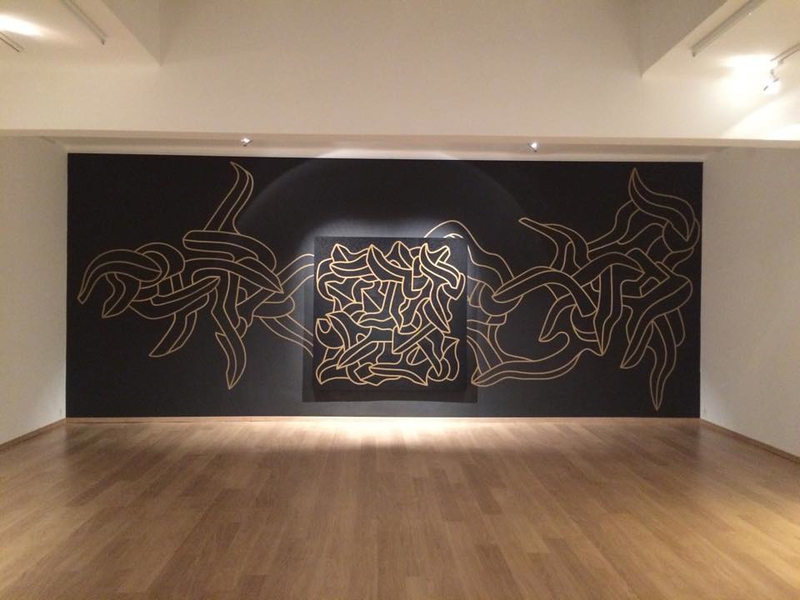 Intent on taking his own path in the mid 80’s, Kool Koor left the NYC graffiti scene and opted to exhibit exclusively in galleries not focused on graffiti or street art abroad. A long list of amazing projects unfolded. A true visionary, Kool Koor spent the last 40 years refining his automatic writing and futuristic metropolises. Never knowing… only intuitively feeling, letting each pen and brush stroke guide him while steadily acquiring insight and growth. 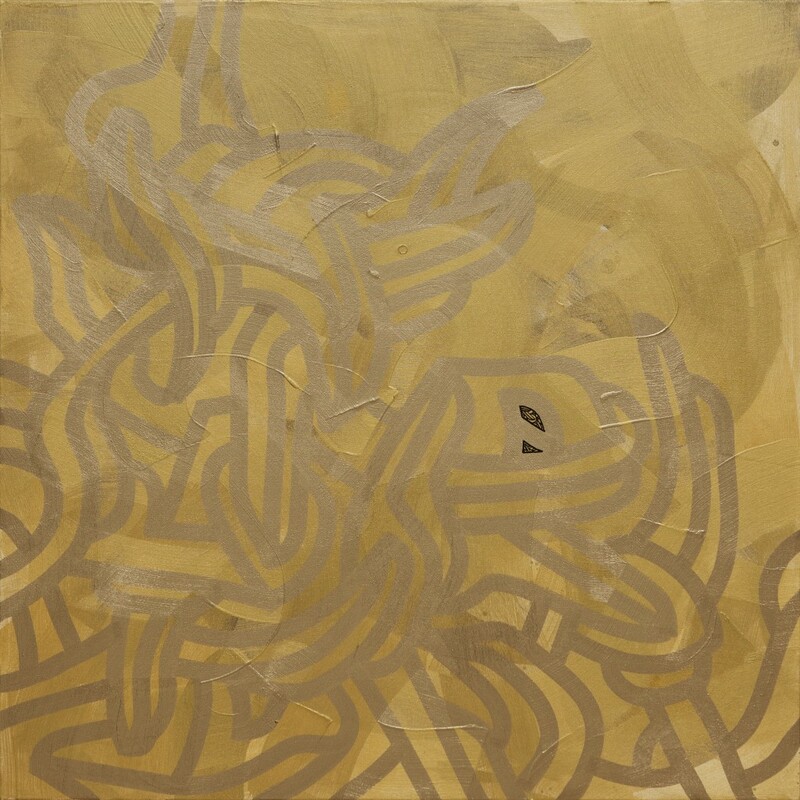 Kool Koor’s creations are featured by contrasting areas of extension and compression within the canvas. Against an almost monochromatic backdrop plane there appears extensively detailed ‘hieroglyphs’ consisting of splines, circles, angles, lines, wheels, arches. Taken individually, they resemble urban and architectural elements – highways and crossroads, bridges, peaks of skyscrapers and facades of buildings leaning, like seaweed under the current, in constant vibrance, both organic and mechanic. Seen from a distance, the canvases appear to be windows to another dimension: the background of interlaid opaque and metallic blacks is perceived as an infinite universal space, in which the interconnected and intertwined entities are drifting. The shimmering golden glow of ink causes a variety of effects, depending on the position of the viewer. The color becomes more intense while looking closely and dissolves in a mist, when observed from a far. His current work is the fruit of those golden years of exploration. Elegant lines bend, blend and transform taking the viewer on a never ending journey within architectural balance and the reflection of light. With the ease of a gentle whisper Kool Koor lures us closer then sweeps us away to freely wonder around inside his magnificent labyrinths.